An RPG set in feudal Japan. A story based around time travel. A talking ferret. Do any of these appeal to you? If so, you will likely want to check out the trailer for the upcoming Atlus RPG for the Wii – Shiren the Wanderer. This trailer will introduce you to the setting and the story. Oh yeah, I promised you talking ferrets too, right? The trailer is narrated by Koppa, one such animal. Crystal Murray, a PR specialist for Atlus has this to say about the title. 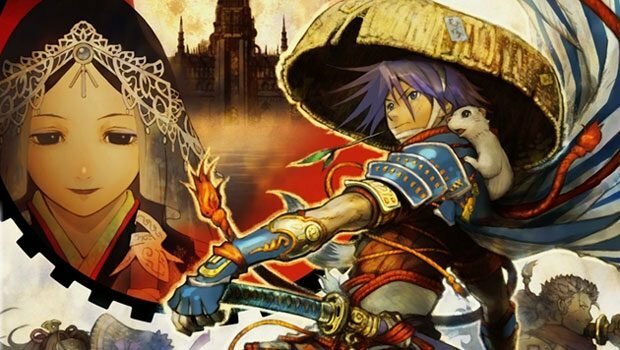 One of the most important elements of what makes Shiren the Wanderer a worthwhile RPG adventure on Wii is its intricate story. The stoic ronin Shiren and his ever-prattling sidekick Koppa set out on an epic millennium-spanning journey, steeped in Japanese mythology. Join them as they as they race to unlock the secrets of a mystical land. The newly launched official website and trailer will help make waiting for the game’s February release slightly more bearable, of course excluding fans who have access to a time machine and/or the ability to safely freeze themselves until said time, in which case they’re all set. Famitsu apparently rated Shiren the Wanderer pretty highly, giving it a 9/9/8/9. That’s pretty high marks, and it’s an RPG for the Wii, no less. That system can use all the RPGs it can get! Did I mention there is a talking ferret? You can find out more about the game at its newly-opened official site. Look for it to release on February 9, 2010.